Alpha & Omega Insurance specializes in risk services for businesses and individuals with access to literally hundreds of insurance carriers, Alpha & Omega is truly the last insurance agency you will ever need, providing the proper coverage for families and businesses. If it can be insured, we can cover it, can your current insurance agent in Dalton, GA say that? 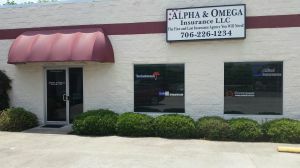 Alpha & Omega Insurance is an Independent Insurance Agency in Dalton, GA representing many different insurance companies for your insurance needs. We carefully select our carriers in order to provide you with the best level of service, price, and coverage. As independent insurance agents, you have the ability to choose the best carrier for your insurance needs. That is the main advantage of using an independent insurance agency, we work to satisfy your needs. 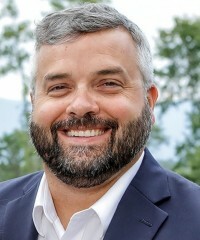 Our goal is to educate and service the Dalton, Georgia community and throughout the state of Georgia. Through our independence, we strive to educate the community on the best options for their insurance needs. We can provide an assessment of your insurance needs with a choice of which package fits you best. We are dedicated to providing our customers in Georgia with the best coverage at competitive rates. Just make one call to our agency, and we can shop your coverage through many top-rated companies. With our professional staff, we can be your liaison with the insurance carrier in the event of a claim. We work for you, not the insurance company. We want you to have a positive overall experience with Alpha & Omega Insurance. Our one on one service approach is our #1 goal for all our insurance clients. Give us a call at 706-226-1234 or contact us through one of our quote forms, and we'll be happy to answer any of your insurance questions. 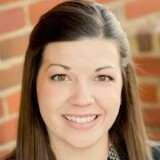 Lanae Baker graduated from Kennesaw State University in 2008 with a Bachelor’s degree in Psychology. Lanae is currently the Director of Sales for Alpha and Omega Insurance. 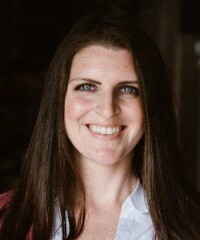 Prior to this, she served as the Practice Director for Soni Orthodontics, PC for almost ten years. Lanae and her husband, Chris, are the parents of two precious daughters, Millie and Lottie. This Georgia Bulldog’s fan works tirelessly to be pillar of supports for her family and friends, all while working diligently to excel in her career. She looks forward to working with you! Nich Bartley is a Chatsworth native. 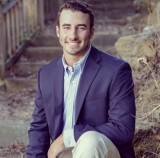 He graduated from Christian Heritage School and is planning on graduating from Dalton State College this spring with a BBA in Marketing. Nich is a newly licensed insurance agent and is eager to build his knowledge in the field of insurance. Nich specializes in commercial, workers compensation, and personal insurance. Nich is also active within the community serving as a community football coach at North Murray High School. He lives in Chatsworth and is currently engaged to Tinsley Smith who resides in Adairsville.